Karli is an internationally qualified instructor who is passionate about delivering authentic Zumba flavour with high energy to every one of her classes. She has made several appearances on The Circle, The Morning Show and Sunrise representing Zumba Fitness. Karli's classes are becoming some of the most popular in the South-Western Sydney area, as they are hugely fun AND open to anyone ... ages in her classes currently vary from 9 to 60 year-olds! I am completely obsessed with Zumba at ZumbaFit Factorie! The best thing that I have ever done in my life, I am a healthier & happy version of myself -- and it is all because of this woman! The classes are always unreal, you feel a part of something bigger than you & everyone is happy!!!!! This is more than just fitness, it is a lifestyle for me now! 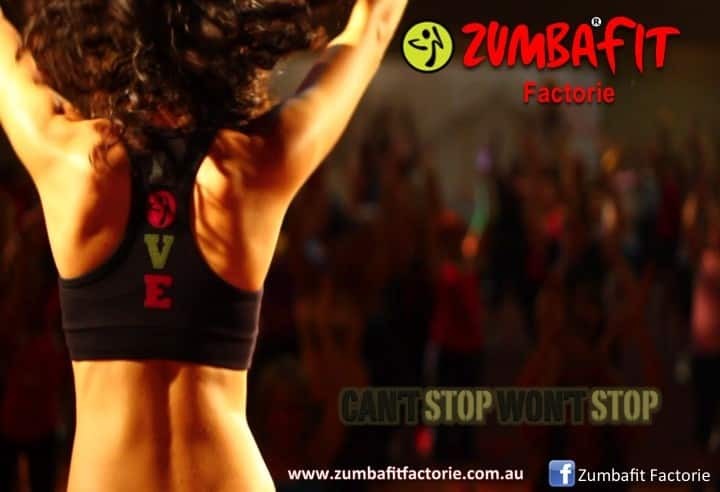 ZumbaFit Factorie's classes at Ingleburn are fun, high energy and have a great family atmosphere. Karli is very talented in her choreography, performing routines suitable for all ages and capabilities. Her commitment and dedication to Zumba is evident through her high energy vibe and friendly, down to earth personality. I zumba with the ZumbaFit Factorie family 4 nights a week and travel from over half an our away to do so. It's absolutely worth it! Not only have I lost 20kg, I have made wonderful friends and have had a complete confidence turn around. Regret isn't an option, however addication is guaranteed!